Undabridged Audiobook, 12 hrs, and 31 min. I’m not sure how to give a plot synopsis here — basically, it’s the continuation of the Trials of Apollo. He has another task to accomplish — another of the new emperors to take down before the third one, in the next book. It’s the same ol’ set up that has served Riordan so well — and will continue to do so for years to come. Basically, Apollo/Lester has to go and find another Oracle. To do so, really, he has to face a lot of people that he’s hurt/disappointed over the millennia. He learns a lot about himself, matures a bit. That part was good — and the whole thing was entertaining. But it felt stale. I liked The Hidden Oracle a lot and was excited to see where this series went. Now, I’m not so sure. I’ll finish the series, but with greatly diminished expectations. 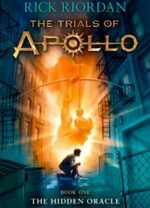 Not that it got into details, but there was a lot more intimated/flat-out said Apollo’s sexual history than I’m comfortable with for a MG book. The previous books in the Percy-verse suggested sexual orientation and activity, there was some romance, but this went much further than any of those. Honestly, it went a step too far. If this wasn’t a part of the Percy-verse, or was clearly marketed toward older readers, it wouldn’t have been that bad and I wouldn’t have said anything about it. But that’s not the case here. As far as the audiobook goes, it was rough. Robbie Daymond was very aware that he was reading amusing material and he read it like each line was a punchline. It was the vocal equivalent of mugging for the camera, if you will. Now, there were a couple of serious and poignant moments, and Daymond pulled those off well, but otherwise it was tough to listen to. I didn’t like the narration, and didn’t think the story/writing was as crisp as the first book in the series. But it was still entertaining enough. This isn’t the one to start reading Riordan. But it’ll do for his older readers. Unabridged Audiobook, 10 hrs., 34 mins..
Thor’s hammer is missing, so not only can he not stream Netflix (I’d forgotten that was a thing in this series) on it, he can’t intimidate the giants into not invading. You can guess which bothers him more. The Valkrie Samira and her pal Magnus have to go find it before things get out of hand. 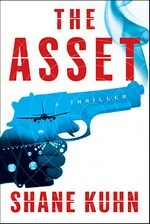 I didn’t like this one as much as the first book in this series — but I didn’t dislike it. It’s still the same outline that Riordan is following with these books — there’s a quest; the hero and his friends have to go find the whatever to stall doomsday a little longer; to get the X the group has to beat a series of mini-challenges and then they’ll have a shot at the X. Since this is a book 2, they’ll get X, but many other things will go wrong, forcing the series into another book. For the most part, the minor challenges worked better for me than I expected. I enjoyed Magnus’ friends — Samira in particular; although I’m pretty torn about the new character added to Magnus’ group: Alex Fierro — a child of Loki. I understand what Riordan was trying to do with this character, but I’m not sure he succeeded. I’m not convinced that Alex was a person, and not just a conglomeration of traits. But I have hope. Alex’s presence, I thought, ended up short-changing some of the other characters when it came to action and involvement in the plot, which I wasn’t crazy about. I really enjoy seeing different authors’ take on the same mythological characters. 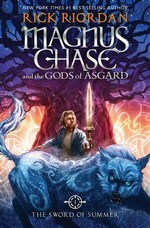 Comparing/contrasting Kevin Hearne’s and Riordan’s Thors and Lokis would make for a very entertaining piece (I think Riordan’s Thor is more comical, but his Loki just might be more sadistic), and I will admit I got distracted a couple of times listening to this by thinking about the differences. The best part of this was seeing how the problems Magnus, etc. are dealing with intersect some of what Percy, Annabeth and Apollo are going through in Riordan’s other series, and the strong hint that we’ll see some sort of cross-over soon. We’d understood that the Egyptian gods were threatening the earth about the same time that the Problems with Camps Jupiter and Half-Blood start up, but this was a much more explicit description. I like thinking that the various pantheons are having troubles at the same time, and that Earth could be doom in any number of ways simultaneously. I bought this in hardcover the week it came out (last October, I think), but haven’t been able to find/make the time to read it. When I saw it as available on my library’s audiobook site, I figured I’d jump — just to get that TBR pile a little smaller. I hadn’t listened to Riordan on audio before, and was curious ow it translated. I was surprised to hear Kieran Culkin’s name (and voice) at the beginning of this — he didn’t strike me as the kind of actor who’d do audiobooks. I’m glad that he did, though. I really enjoyed his work throughout the novel — the narration, the characters — he just nailed it. That’s how Magnus Chase should sound. It was entertaining enough to keep going, and I trust that Riordan knows what he’s doing, I’m just not convinced that he did all he could to make this book as good as it could be. Maybe you’re thinking, Oh, Magnus, you didn’t really die. Otherwise you couldn’t be narrating this story. You just came close. Then you were miraculously rescued, blah, blah, blah. Nope. I actually died. One hundred percent: guts impaled, vital organs burned, head smacked into a frozen river from forty feet up, every bone in my body broken, lungs filled with ice water. The medical term for that is dead. Gee, Magnus, what did it feel like? It hurt. A lot. Thanks for asking. 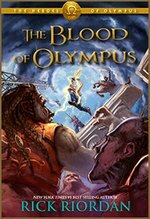 Welcome to Rick Riordan’s latest tale of the offspring of mythological deities and the humans silly enough to fall for them. We’ve done the Greek pantheon, spent some time with the Egyptians, and came back for another round with the Greeks — this time with their Roman counterparts, but now we’re in for something new: Norse mythology. A whole new kettle of fish. This involves a new type of central character, a new kind of setting, new challenges. Which gives us the best thing from Riordan since the Percy Jackson & the Olympians series. Magnus Chase is a homeless teen, orphaned a couple of years back when his mother was killed. Since then, he’s lived on the streets of Boston, spending his days in museums and libraries, learning as much as he can about whatever, and establishing relationships with generous restaurant employees and fellow homeless people. Two of whom track him down one day to let him know that there are people looking for him. It turns out that this is his sixteenth birthday and life just got a lot more dangerous for him. The people seeking him are family and they’re sure that he’s about to be hunted by beings he doesn’t believe exist. The quotation above shows how well that being hunted works out for Magnus. But he goes down fighting — to save himself, bystanders, and a couple of friends. So a Valkyrie (who happens to be Muslim, a combination that fascinates me) takes him to Valhalla — where he makes some more interesting friends, and enjoys a quality of (after-)life that’s far better than the streets. But then, someone casts doubt on the worthiness of his selection, which puts that Valkyrie in hot water. The thing about fate, Magnus: even if we can’t change the big picture, our choices can alter the details. That’s how we rebel against destiny, how we make our mark. Now it’s just a question of what kind of mark he leaves. Love, love the voice/attitude, I’ve seen some criticisms of it from parents, but I think it’s fun, and it’s just the kind of thing to feed into his audience (both the target and those who’ve grown up reading Riordan and still read him despite no longer being age-appropriate). It’s the clearest, crispest, funniest narrative voice since the Percy books — and might end up surpassing them by the end of this series. I really don’t know that much about Norse mythology — world tree, Ratatoskr, Asgard, Valhalla, Odin, ravens, Hel, etc. I’ve got, but the details are really fuzzy. 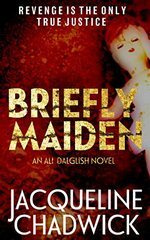 Most of what I know about Norse myth comes from Kevin Hearne’s Iron Druid Chronicles and Jacqueline Carey’s Daisy Johanssen/Agent of Hel Urban Fantasy books. So I’m learning a lot — and I assume younger readers will, too. The few pages of supplemental materials in back of the book are such a nice help! I really enjoy Riordan’s take on these mythological figures — both those I know and those I’m new to. I think the Thor you meet in these pages is fantastic. Yeah, Hearne’s Thor is a better character, but Riordan’s Thor induced more chuckles. There are some great chapter titles here — I tend to ignore them (anything beyond a number is a distraction), which is short-sighted, I realize, but that’s what I do. In this book? It’d be really dumb to skip them. Every now and then I’d stop to go back and read the last few that I’d missed. If they’re not the funniest (and most creative) lines in the book — they’re in the top 2%. The tie-in to the Percy Jackson books is obvious (and I felt really stupid having to have it spelled out for me in the opening chapters rather than sussing it out much earlier) and unexpected, but I can’t wait to see how that develops. But even more entertaining are the jokes about aspects of the Percy-verse — flat-out funny, and nice bit of fan service, too. Oh, and they won’t make a lick of difference to the Riordan-novice. I just realized that I haven’t even addressed the titular sword. I don’t know what to say about it without ruining anything, but if I was eleven years old? It’d be my favorite sword ever — better than Excalibur or anything that Tolkien could offer (as someone much older than 11, I don’t think that, but I wouldn’t argue with my younger self). One other thing — I read a review from one review site that I respect that dampened by enthusiasm for getting this — but I decided that Riordan had earned my trust (and I was curious), so I gave this a shot. That review complained about the sarcasm — I don’t get that, but apparently that’s a thing for some parents. And they complained about the addition of cussing — now maybe I missed it, but outside of the taking the names of Norse gods in vain (and that could be argued), the only cussing I saw was in dialogue tags. As in “…,’ he cussed.” Seriously? If we have to shield our middle graders from the concept of cussing, they’re not going to survive the middle grades. There were a few other complains that were about as baseless as these — I kept waiting to see these problems as I read and missed every single one. Which isn’t to say this is a perfect book — but man, it’s the best he’s done in quite a while. The problems I have are really not worth getting into, they don’t ruin the experience, and if you’ve read Riordan before, you’ll be expecting them (they’re less problematic in this book than the last 2-3). The Sword of Summer is funny, exciting, with real heart — just the thing for middle grade readers (or those who don’t mind reading below their fighting weight). Well, after ten novels, it’s time to say good-bye to Percy, Annabeth, Grover, and the other residents of Camp Half-Blood — not to mention their new-found allies and friends (when they’re not trying to wipe them out) from Camp Jupiter. But first they have to stop Gaea and her army of giants from wiping out the gods, humanity, and all life as we know it. Just another day for these demi-gods, really. As is the norm for Riordan’s books, our heroes are faced with a series of tasks which build up to a major confrontation — this time, a couple of them. It’s amusing as usual to see these kids outwit various minor gods, titans, etc. Good teacher that he is, Riordan gives his readers plenty of education about the Greek and Roman pantheons under the thin disguise of plot development. The big epic battles that he’s been building for since the beginning of this series — well, they were epic. They were tension filled. And still managed to be funny. And will likely be read with breaths caught, and lumps in throats. Possibly the funniest visual in Riordan’s works appears in the midst of one of these battles, and for a second I was torn between enjoying it and turning the page to find out what happened next. My one quibble was that the resolution to the Gaea story was a little too easy, a little too quick after all this build up. Still, the way he wrapped up the other story lines and conflicts was sufficient, so I was able to move past it easily. Riordan continues dabbling in themes I’d prefer not to see in MG books, but I know I’m in the minority on that. At the end of the day, especially at this point in these series, it’s the characters that readers care about. I read this ahead of my son (who started these back when there were only three in the original series, and is now a good deal older than the target audience) and made a joke about something bad happening to Grover — and the glare he gave me probably took a year off my life. It’d that kind of dedication that Riordan instills in his fans. As such, there’s plenty of development and resolution given to these characters — Riordan doesn’t spell out their futures the way that Rowling did at the end of her series, but he gives us enough to be able to say good-bye. Riordan does right by his characters — Reyna, Jason, and Frank particularly. Annabeth and Piper shine like neither has before. And Leo Valdez is even more of a star than he was before (if I’m going to talk about my son’s soft spot for Grover, I’d better be honest about my Leo-centric focus). I’m not saying they all survive, or are otherwise unscathed, but Riordan treats his characters with respect and keeps his readers turning the pages. It’ll be odd not getting a new adventure with these characters next year, but I’m looking forward to seeing what Riordan does with the Norse pantheon (and learning about them, too).